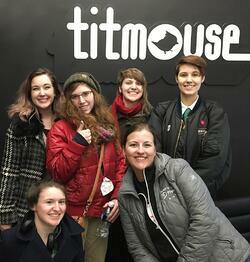 Earlier this month, PCA&D's Illustration Department took its annual trip to New York to visit the Society of Illustrators and other venues. During the trip, the students were able to view the Professional Book and Editorial Show at the Society of Illustrators as well as its historical collection, which was displayed by PCA&D faculty member Eric Fowler, who is also the collections manager at the Society. 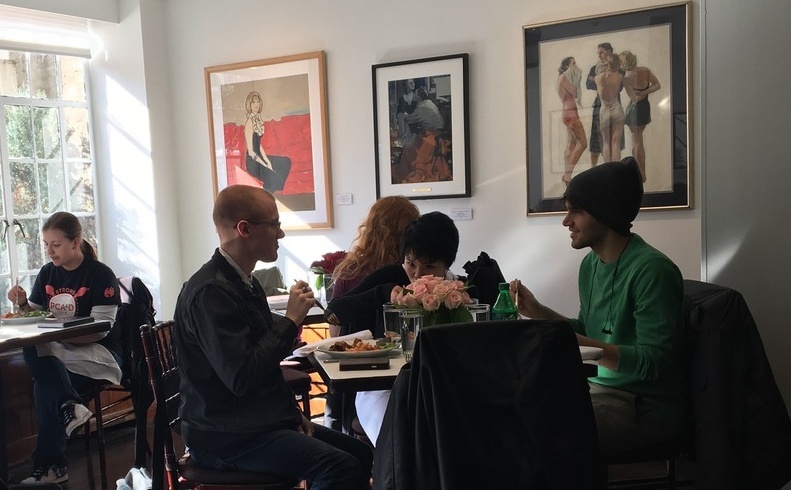 The students were able to dine under original Rockwell, Leyendecker and Cornwell painting, before venturing up to the 5th floor of the historical brownstone to be presented by hundreds of hidden illustration gems such as the original art for the "Harry Potter: Chamber of Secrets" movie poster. At another stop, Richard Solomon Representatives, an agent to many prestigious artists. (Richard Solomon was kind enough to counsel the students on the business side of illustration). And last but not least Orbit Book Publisher is a juggernaut in the Sci-Fi/Fantasy book publishing industry. Hosted by the green haired goddess herself, Lauren Panepinto, the tour saw the inner working of a New York publishing house. Students left with further knowledge of all things Illustration and solidified professional contacts for future endeavors including freelance work, internships and mentorship possibilities.